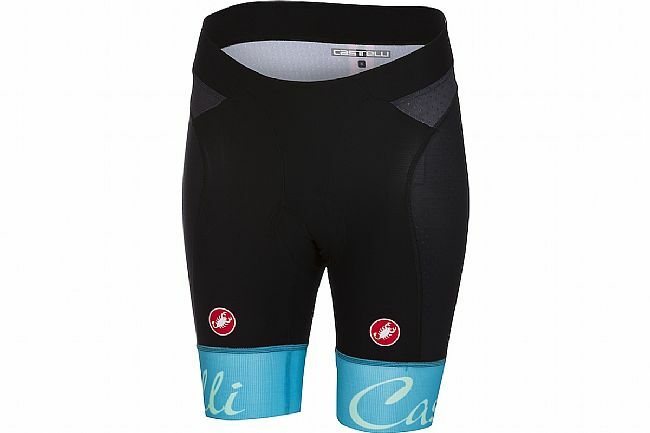 The Castelli Women's Free Aero Short is the ultimate race short, offering extreme comfort and performance for competitive and recreational cyclists alike. The high-tech Vortex fabric on the sides and back is dimpled for aero performance and breathability, while the 30% Lycra® Forza fabric on the inner legs is extremely flexible for a perfect fit. Wide raw-edge GIRO AIR leg grippers are thin, lightweight, and provide evenly distributed support for comfort that doesn't restrict or distract.